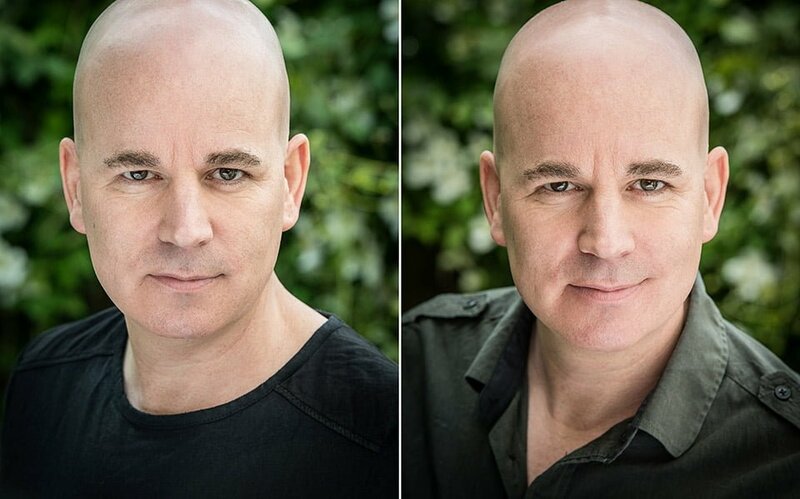 Jerry is a fine and hard working actor and needed a new set of professional headshot portraits for his agent and Spotlight and we did the photoshoot in my preferred outdoor location of my garden in Brighton. He wanted some outdoor, natural light shots and we managed to arrange the photoshoot on the windiest and rainiest day known to humanity. Still, I’m never one to let a bit of typhoon action put me off and we managed to get some great shots. Jerry was really fun to work with and here are a couple of my favourites. Brighton photographer specialising in headshot portrait and portraits for actors, business people, CEOs, singers, musicians, editorial, magazine and all self-promotion and marketing. David Myers is Brighton’s leading portrait photographer and works within the Sussex, Surrey, Kent, London, Chichester, Rye, Burgess Hill, Guildford, Lewes, Eastbourne, Brighton, Southhampton and Tunbridge Wells areas.